TODAY's Al Roker takes a look at the European model forecast that predicted Sandy, and its new forecast of a potential Nor'easter next week, bringing wind gusts of up to 45 mph. Millions trying to recover from Superstorm Sandy were not getting much cooperation from Mother Nature: Lows this weekend were set to dip into the 30s, an issue for elderly and others without power, while a nor'easter winter storm is possibly on its way. "We just want to get heat so we can survive at night," a resident of Essex Falls, N.J., told NBC 4 New York on Friday, four days after her power went out. "It's so cold out." "Everybody's tired of it already," Rosemarie Zurlo, a resident of New York City's West Village told NBCNewYork.com. She said she planned to leave her powerless, unheated apartment to stay with her sister in Brooklyn. "I'm leaving because I'm freezing. My apartment is ice cold." On top of the cold, the National Weather Service's prediction center, in a Friday update, cited the "potential for a nor'easter along the Atlantic Coast next Wednesday and Thursday." "No rest for the weary," it added. The system wouldn't be another Sandy, but it could build off North Carolina next Tuesday, then move up the coast and affect New Jersey, Long Island and other hard-hit areas by Wednesday. "The possible storm next week is not of the same make up as Sandy," prediction center forecaster Jim Cisco told NBC News, "though any more rain, snow or wind would certainly pose exacerbating effects on the impacted regions." "This is just what we don't need," added NBC News meteorologist Al Roker, saying winds could gust up to 45 miles per hour. "You look at those winds coming counterclockwise, bringing in with it the potential for one to two more inches of rain ... and wet snow inland just along the New York/New Jersey border," he said. "We're talking about wet snow mixing in." Those gusts along with waves in "already compromised beaches along New Jersey and Long Island ... could cause big problems," Roker added. Homeowners in suburban New York are depending on generators until electricity is restored as others are rushing to buy them – to prepare for future storms. TODAY's Jenna Wolfe reports. "It's not definite," he emphasized, but two key models used by weather forecasters are in agreement "that this is going to happen. It's just a matter of how strong this system is going to be." The Weather Channel echoed that concern. "At this point we do not expect the impacts to 'break anything that is not already broken'," weather.com winter weather expert Tom Niziol wrote Friday. "However the combination of weather impacts will add insult to injury for the recovery process along the East Coast." NBC News meteorologist Bill Karins said that while the new system would have only a fraction of Sandy's power it comes at a vulnerable time. "Its greatest impact will be battering waves along the Sandy impact zone," he predicted. "Beaches/structures have no protection from wave action at high tide cycles until the dunes can build back up." "Other impacts are very minor," he added. "Rain/winds could delay line crews restoring power and there would be some danger of falling already loosened tree branches." Even before any nor'easter, Northeast residents were told to expect evening low temperatures to dip a few degrees into the low-to-mid 30s over the weekend. New Yorkers can expect a stiff breeze Saturday morning to make it feel like it's in the 20s, NBCNewYork.com reported. The utility Con Edison is working to restore power to some 226,000 customers in Manhattan by Saturday, but that would still leave some 350,000 of its customers elsewhere in New York City potentially in the dark beyond Saturday. 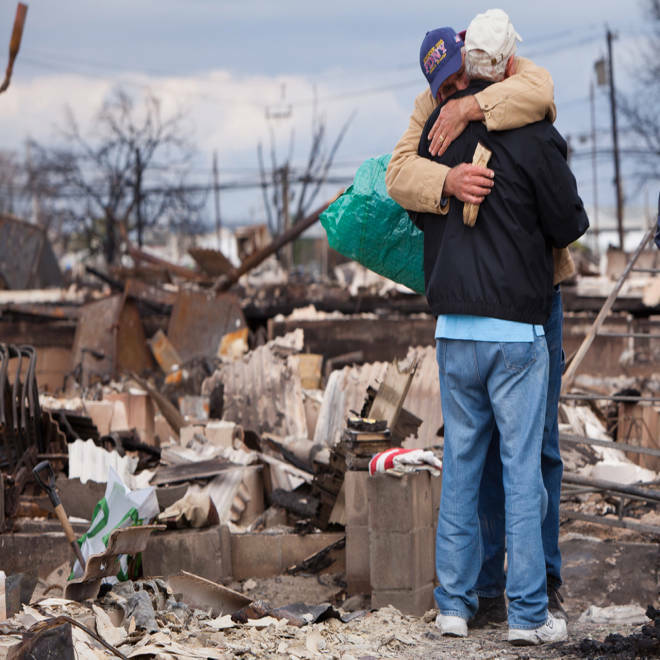 Con Edison said it hoped the vast majority of those would have power by Nov. 11. As for a potential nor'easter, Con Edison spokeswoman Sara Banda told NBC News that "we're going to have to take that into account." The areas taking the longest for restored power, Banda said, are those with overhead lines. "It's taking a bit longer," she said, noting that crews have had to deal with 100,000 downed lines. Mayor Michael Bloomberg on Friday warned New Yorkers about using candles to provide heat, noting that at least one home caught fire as a result. "I know it's chilly, I know you want to have light at night," he said, "but don't leave candles unattended." New Jersey has also been hard hit with outages, and many homes there were told not to expect power until next week. 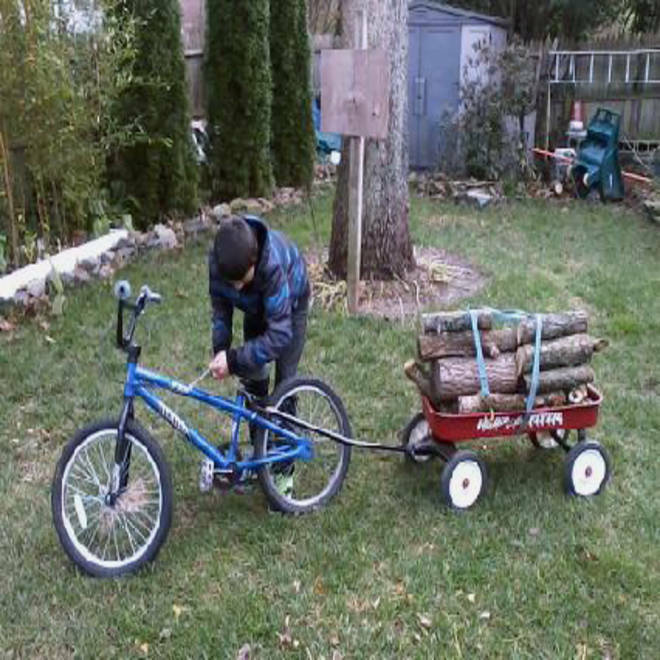 In Beachwood, 11-year-old Zach Molino took matters into his own hands -- and wagon -- by biking around his neighborhood to collect wood from fallen trees for his family's fireplace. Zach Molino of Beachwood, N.J., gathers firewood for the family fireplace. Across the region, 3.5 million homes and businesses still were without power Friday afternoon, according to a tally from the federal government. Follow US news from NBCNews.com on Twitter and Facebook.